Our LPR-2™, extra high-intensity High-Power LED conversion bulb for 2 cell (3.0 V) flashlights, offers an easy way to convert many standard flashlights into extra high-intensity LED flashlights. 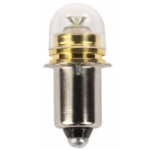 Replaces PR-2, KPR-102, KPR102 , PR5 , PR6, X-2C, TEKNA® 2D, Maglite® LWSA201 and LMSA201 This new bulb features the latest advances in LED technology to deliver a bulb that lasts more than 300 times longer than standard Krypton, Xenon or Halogen bulbs while also providing greatly increased battery life and a higher-quality white light that allows you to see better at night. In addition to providing long burn times and allowing you to see better, these new bulbs are also shockproof and vibration resistant. 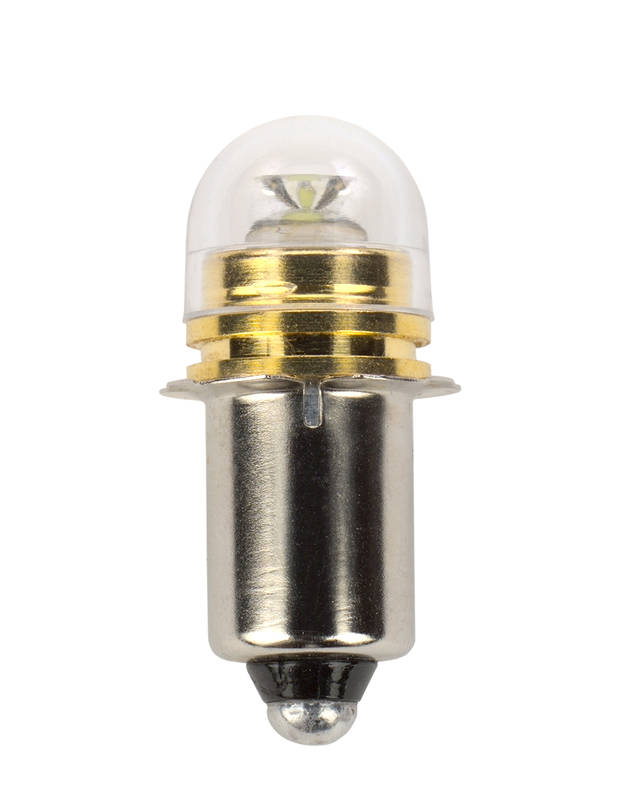 Since there is no filament to break or burn out, you will never be left without a working flashlight bulb again.